Following news that the Department of Justice has allegedly opened an investigation into Apple’s practice of throttling iPhones with aging batteries, the company is speaking out. Bloomberg reported on Tuesday that the DOJ and the Securities and Exchange Commission are looking into the possibility that Apple violated securities laws after it issued software updates that slow the performance of older iPhone models. Specifically, the agencies are investigating whether or not Apple’s disclosures in the updates were compliant with federal laws. The U.S. government has requested information from the company, according to the people, who asked not to be named because the probe is private. The inquiry is in early stages, they cautioned, and it’s too soon to conclude any enforcement will follow. Investigators are looking into public statements made by Apple on the situation, they added. While the slowdown has frustrated consumers, investigators are concerned the company may have misled investors about the performance of older phones. The agencies traditionally don’t publicly comment on ongoing investigations, and that has remained true in this case. But Apple issued a statement on Wednesday that vaguely appeared to acknowledge the probe. Apple’s statement starts by reiterating that its throttling practice was designed to help prevent older iPhone batteries from overloading during peak workloads and inadvertently shutting down. Apple mentions the mea culpas that it has subsequently issued after the intentional slowdown was discovered, like cheaper battery replacements, and an upcoming option in iOS to turn off the throttling if a user so chooses. And the company vehemently denied there was any planned obsolescence behind the software updates, saying, “we have never — and would never — do anything to intentionally shorten the life of any Apple product, or degrade the user experience to drive customer upgrades.” Mostly the company is repeating talking points from a previous statement. What Apple added on Wednesday really boils down to the final line: “We have received questions from some government agencies and we are responding to them.” Okay, then. We don’t know for sure that Apple is being investigated by the DOJ and the SEC, as our requests for confirmation have gone unanswered. 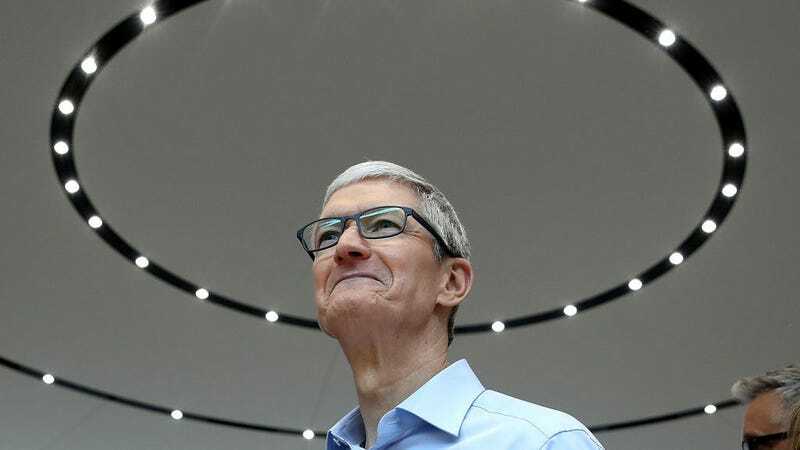 The timing of Apple’s statement could just be a case of acknowledging the probes that have popped up in countries like France and South Korea. The Senate also has some questions, but let’s be realistic, the only thing the Senate has accomplished in a year is giving Apple and other corporations billions of dollars in tax cuts. Apple is scheduled to report its quarterly earnings tomorrow. We’ll find out if all of the speculation about lagging sales, plateauing prices, and consumer anger will have any effect on the company’s seemingly bulletproof success.